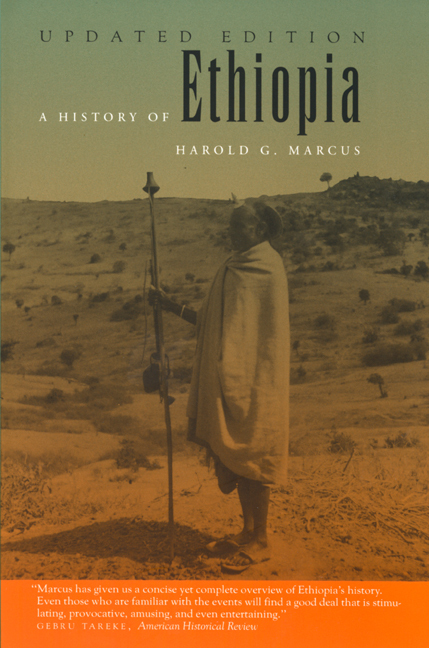 In this eminently readable, concise history of Ethiopia, Harold Marcus surveys the evolution of the oldest African nation from prehistory to the present. For the updated edition, Marcus has written a new preface, two new chapters, and an epilogue, detailing the development and implications of Ethiopia as a Federal state and the war with Eritrea. Harold G. Marcus (1936-2003) was Professor of History and African Studies at Michigan State University. His books include Haile Sellassie I: The Formative Years, 1892–1936 (California, 1986), Ethiopia, Great Britain, and the United States, 1941–1974: The Politics of Empire (California, 1983) and The Life and Times of Menelik II: Ethiopia 1844–1916 (1975).